In April 2010 the Motu Kaikoura Trust applied to the Auckland Regional Council (ARC) Coastal Enhancement Fund for a grant of $63,778.00 for a 1 x 6 x 4 metre pontoon and 16 metre alloy gangway to replace the ageing pontoon and rusting gangway and give safe and reliable access to the island. This application was successful and the Trust appreciates the financial assistance from the ARC. The gangway was transported to Skyworks, Matakana by Swanson Transport and then flown by Skyworks to Motu Kaikoura at a discounted rate. 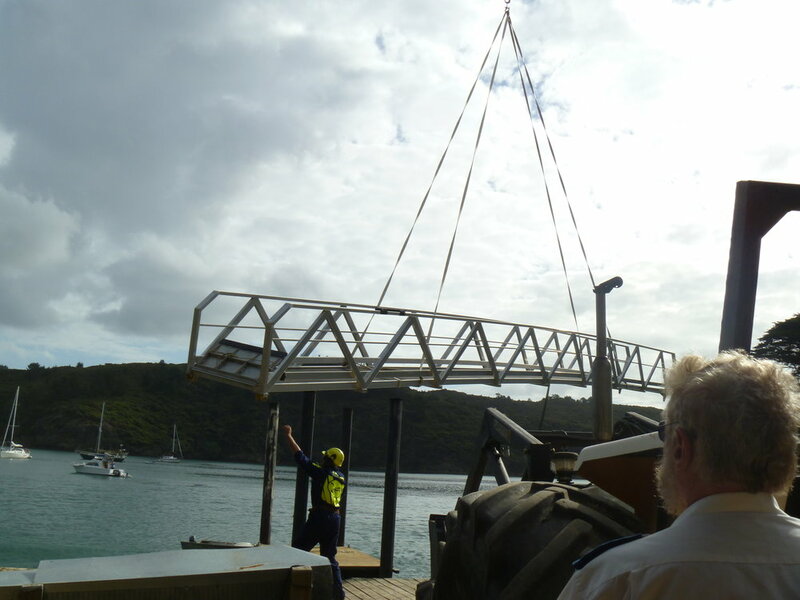 The pontoon was delivered on the DOC boat Hauturu at no cost. Thanks to DOC. 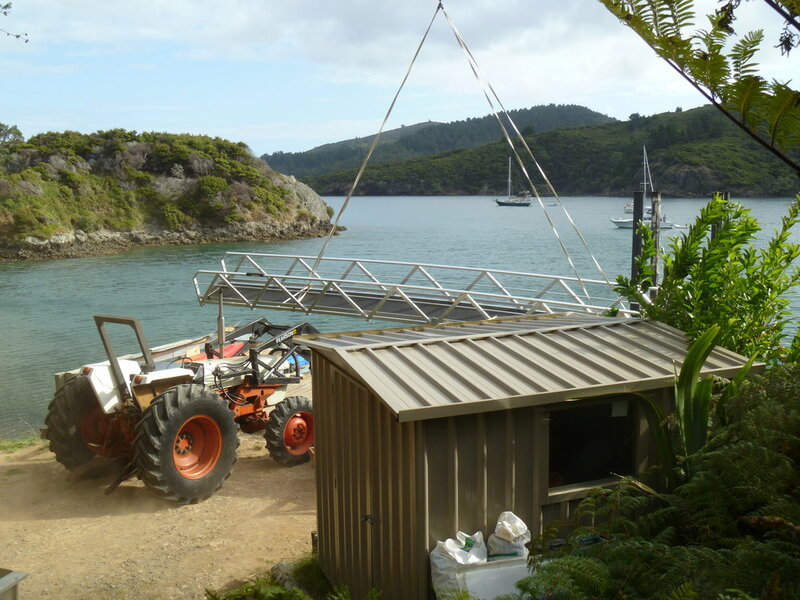 The pontoon and gangway were constructed by Carl Jensen, Anchorage Pontoons Ltd, Dairy Flat and installed on Motu Kaikoura by Carl Jensen and Rod Miller, trustee.